Last Night of the World is the first Canadian historical novel whose central figure is a Canadian woman spy. Last Night of the World weaves a story of impossible choices told by real-life Soviet agent Freda Linton. She and other intriguing characters, whose actions unleashed the Cold War, fight for their survival in the cloak and dagger atmosphere of World War II. Mainly set in Ottawa, a Soviet espionage cell attempts to steal the plans for the atomic bomb from the Americans. The characters are: Igor Gouzenko, the cipher clerk who stole top secret cables from the Soviet Embassy and defected; Fred Rose, the first and only elected member of the Canadian Communist Party to the House of Commons; John Grierson, the founding director of the National Film Board; and the master British double-agent of the Cold War, Kim Philby. Similar to the desperate lives of the illegals in the television series The Americans, this suspenseful novel is based on the activities of Canadian-based spies, and their handlers, who try to outwit the Canadian government. Like Elizabeth and Philip in The Americans, Wayne’s characters find themselves not only pitted against Western nations, but also against Stalin’s obsession to become a nuclear power. Margaret Cannon, Globe and Mail. June 8 and 9, 2018: Online and in the Saturday paper. Oakville resident Joyce Wayne, a former editor of Quill & Quire, draws on her own family history for this gripping Cold War novel about Freda Linton, a Soviet operative in Canada in the 1940s whose movements are apparently documented in FBI and M16 files. 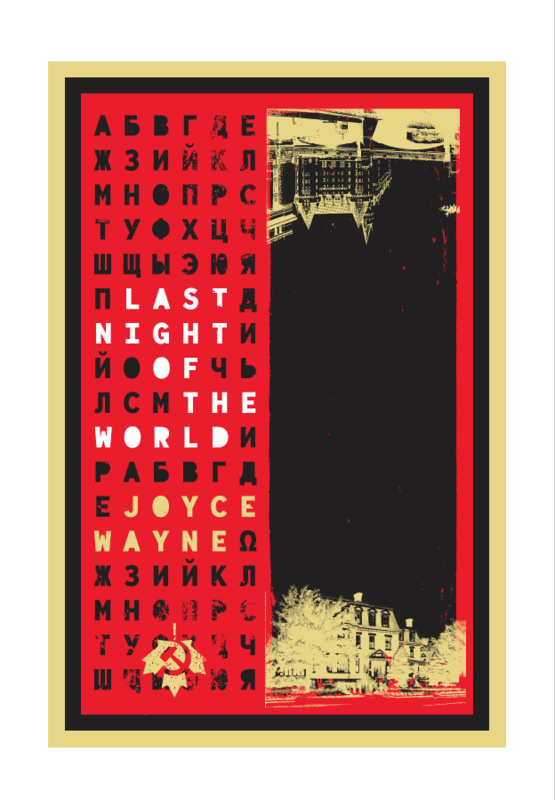 Growing up, Wayne’s father told her stories of the Red Cavalry storming his Belarus village during the Russian Revolution, and later of becoming a Communist and a labour organizer in Montreal garment factories. His recollections of this pivotal time in Canadian history – and of Linton herself, whom he recalls as “a great beauty and the bravest of women” – provided the seed of inspiration for this highly readable outing, which follows Linton’s journey from a rural, religious town in Belarus to gritty cold-water flats in Toronto, opulent homes in Ottawa, and beyond. A spy story well timed for the news’ current preoccupation with both the Kremlin and the nuclear arms race. –Joe Kertes, Winner of the U.S. National Jewish Book Award for Fiction. Visit Joyce Wayne’s blog, “Retirement Matters”, sponsored by HomEquity Bank. This blog is for Canadian retirees (and soon-to-be-retirees) trying to understand the changing definition of retirement. Take a look at what ‘living in retirement’ means today! @jennybhatt I published my first novel at 62, the second one at 67 and I’m beginning work on #3. Battling against ageism was difficult.